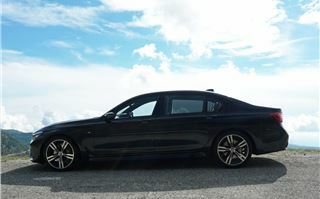 BMW claims that its 6th generation 7-Series long wheelbase model is the longest car it has ever built. It is. At 5,238mm it is seventeen feet two inches long. At 1,902mm it’s the same girth as before, and at 1,485mm only slightly taller. 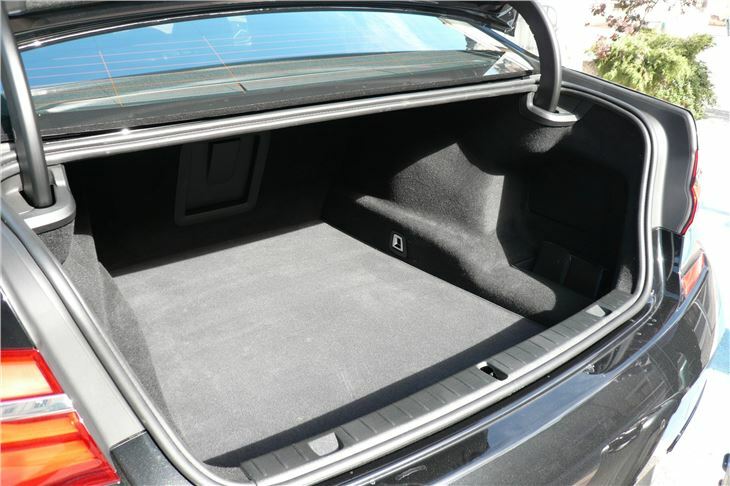 At 515 litres, the luggage compartment is 9 litres bigger than before. Inevitably, this is a car that, to impress the carriage trade, will have to fight off the swaggering Mercedes Benz S Class, the elegant Audi A8 and the superbly proportioned Jaguar XJL. Its city emissions credentials are met by the short wheelbase 740e that in the current NEDC tests emits a mere 49g/km CO2 combined, and can still enter the City free of charge for the foreseeable future. 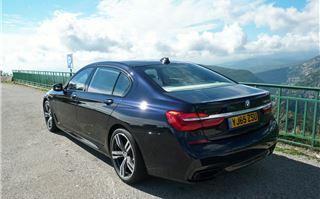 Out on the Autobahn, all except the 740e will reach a governed limit of 155mph, which is probably enough for a limo. And they do it at different rates of fuel consumption, depending on how quickly you want them to get up to Autobahn speeds. In the UK, few 7-Series will be purchased as owner/driver cars. So any assessment of them needs to be balanced between chauffeur driver enjoyment and rear passenger appeal. 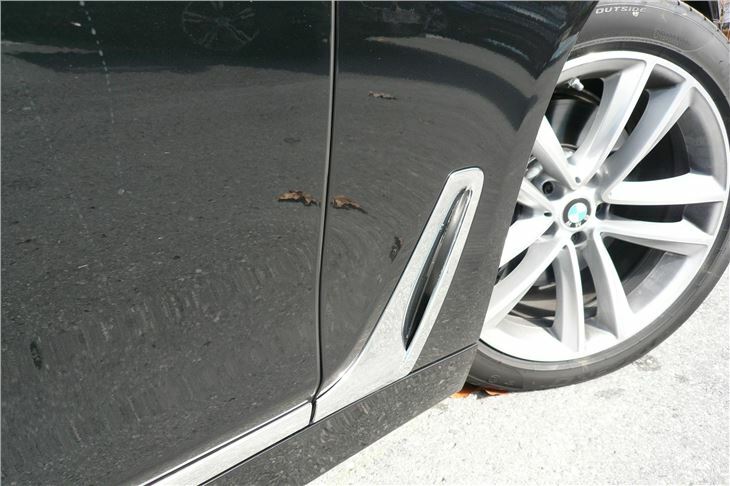 The truth is that the previous 5th generation 7 Series did not ride vary well, especially on big wheels and low profile tyres. 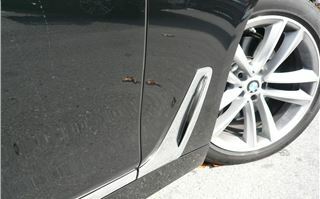 So BMW has ditched coil springs and dampers in favour of what the Americans call ‘air ride’. You can set the car in Sport, Comfort or Eco Plus drive modes. 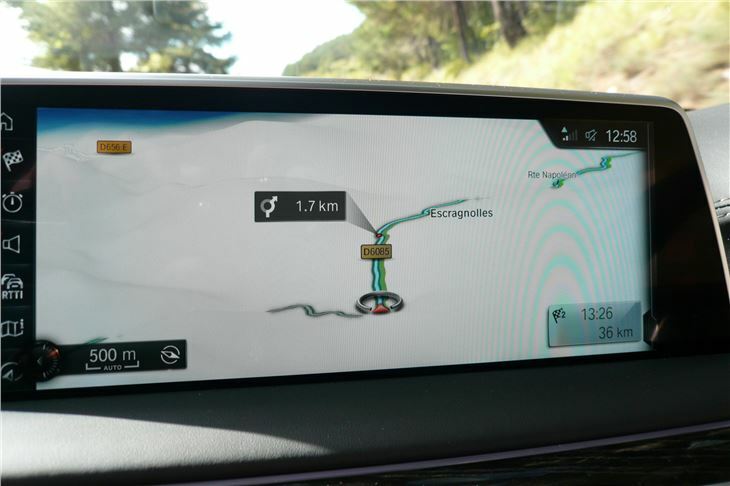 Or in ‘Adaptive Drive’, that works the same way as the Mercedes S Class ‘Magic Ride’ and uses cameras to assess the state of the road ahead then adapt the ride to cope. It works brilliantly. Just soaks up whatever the road throws at it. Even in Sport mode that drops the ride height by 10mm you don’t feel any of the banging or crashing of the previous generation 7 Series, even on 20” wheels with 245/45 R20 tyres. 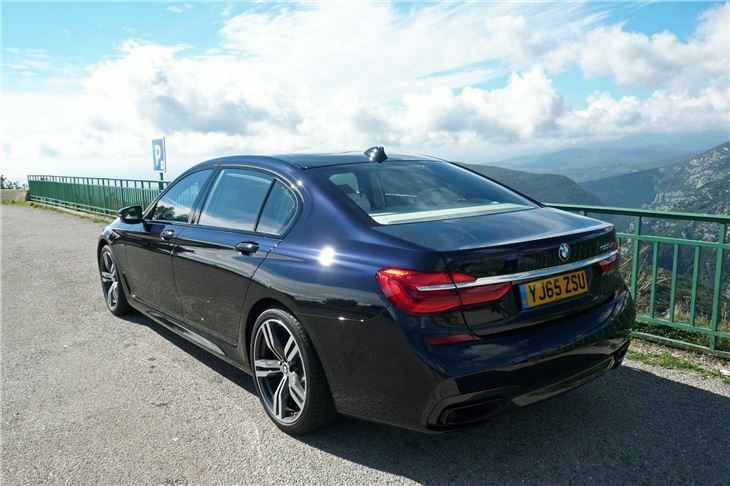 We drove only the 730d, in short and long wheelbase, and passengered in the rear of a 730Ld. 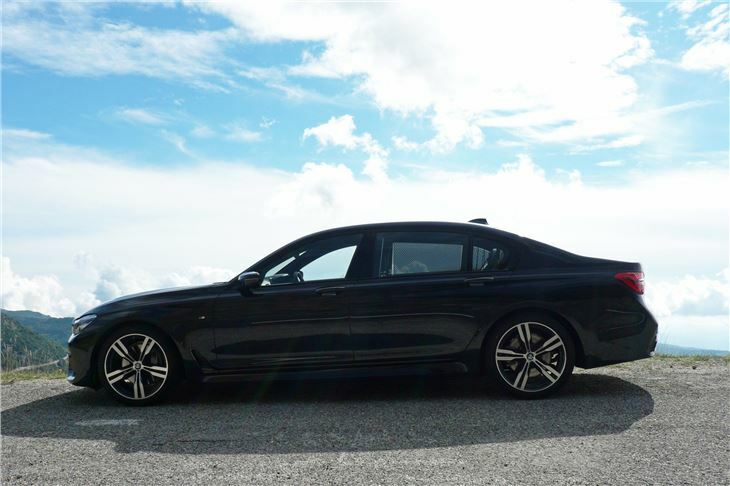 The long wheelbase obviously brings the benefit of extended legroom in the back, but at 17’ 2” long compromises the handling out on the open road and its manoeuvrability in narrow streets. It also ups the CO2; critically for the hybrid version because in the near future that won’t be both VED and London Congestion Charge exempt. 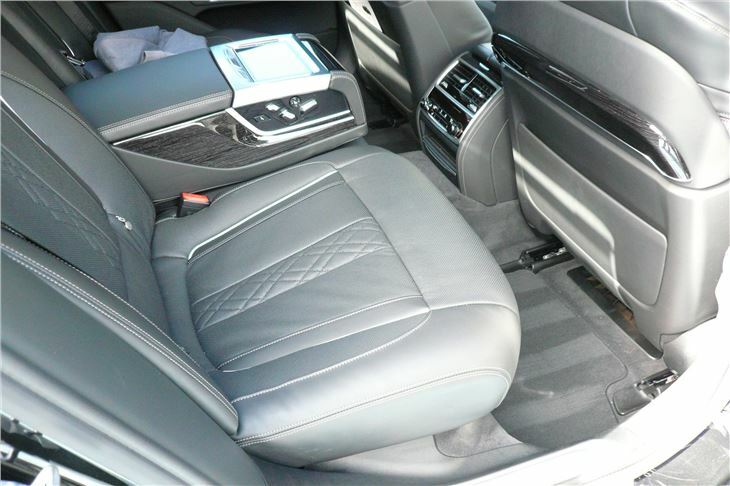 So, though you can get a Lexus-like package that pushes the front passenger seat forwards and turns the nearside rear seat into a kind of BA Long Haul Business Class bed, the 740Le doesn’t make as much sense as the 730Ld and 740Ld. It’s questionable, also, whether anyone would really need a 740Ld, because the performance of the 730Ld is all most drivers, chauffeurs or passengers are realistically ever going to need. It isn’t a sportscar. It’s too far too big for that. But as a car for Prime Ministers, Presidents, captains of industry, King’s bodyguards, or even Kings, it hits all the bases. It can be driven slowly, or quickly, without upsetting the composure of its illustrious passengers. BMW talked a lot about feelings of serenity and well-being in its presentation. 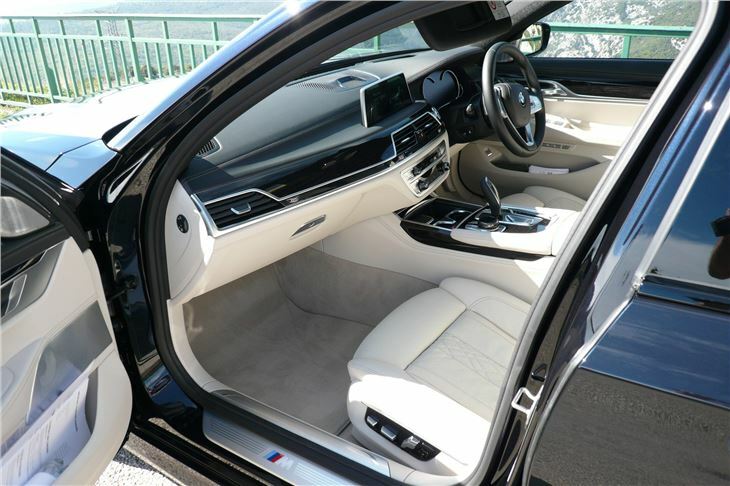 And the car does all that with a very impressive high-tech standard specification that takes the fight to the ubiquitous S Class in a manner that the 7-Series has never managed before. 360 degree surround-view is a brilliant aid to chauffeurs challenged with parking a limo in a seemingly impossible space. 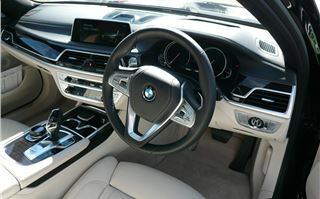 They can either do it manually, using the clever dashboard graphic display that enables them to berth the car singlehandedly in the manner of a superyacht. Or, where the available space is a matter of inches either side, they can get out of the car and use the smart key to autonomously reverse the car into a parking space. This incredible device, with its own screen and menu of functions, costs just £230 to replace if it gets dropped, lost or run over. 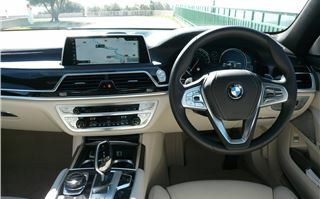 The key itself is wirelessly recharged by an inverter in the centre console, so no worries about battery life. 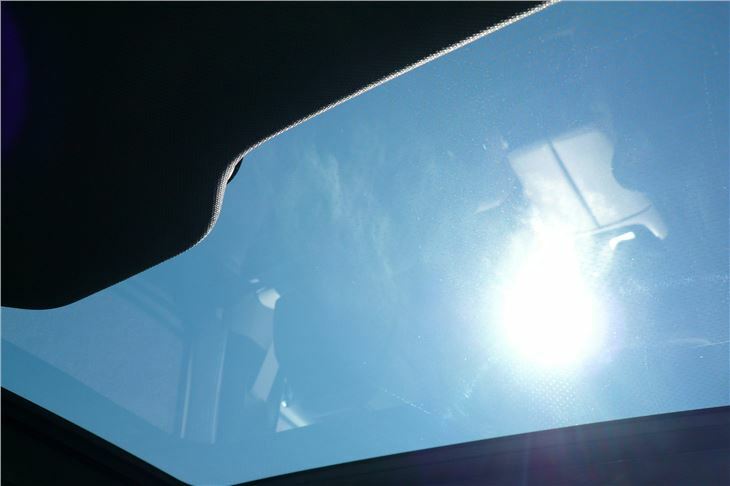 There is a standard head-up display projected onto the screen that can be customised to show what you want it to show and nothing else. 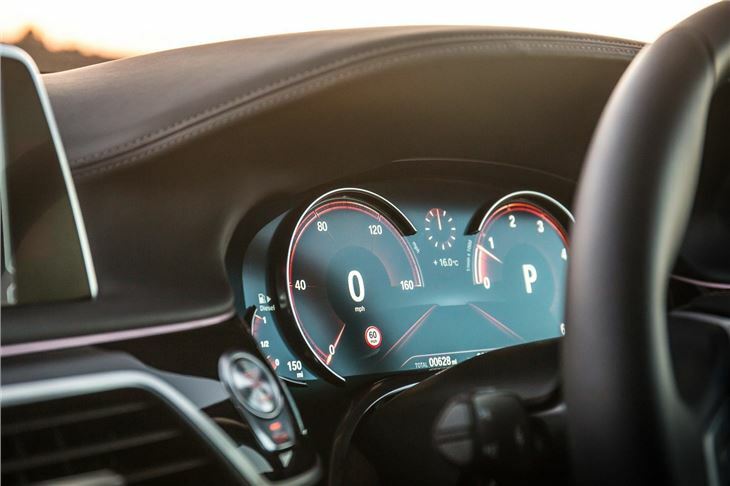 So, if you want see what gear you’re in, as well as your speed and what’s coming up next on the satnav, you can simply set the head-up display to show those. Better than looking down at a dial. 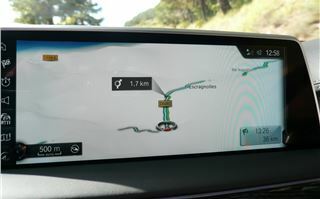 Destinations on the standard satnav can be set by pointing your finger at a destination on the map. 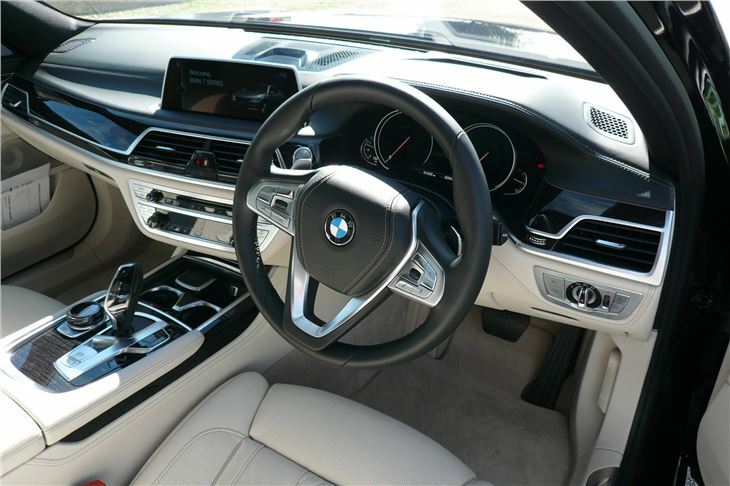 This is part of what BMW call ‘gesture control’ that allows you to use natural hand movements to, for example, accept or reject a phone call, turn up the volume of the sound system and a lot of other things. 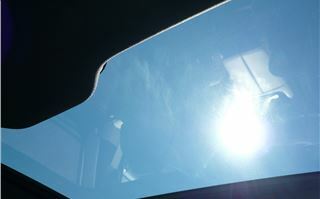 Variable ambient lighting, and ‘surround lighting’ for when you step out of the car are also standard features. 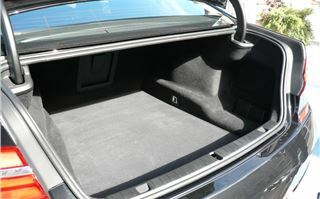 As are soft ‘Nappa’ leather (rather than ‘Dakota’ leather) and numerous other features. Though not a new concept, the optional perfume diffuser enables you to feed various different essences (two at a time) into the air-conditioning system to promote a feeling of well being. That’s standard, too. 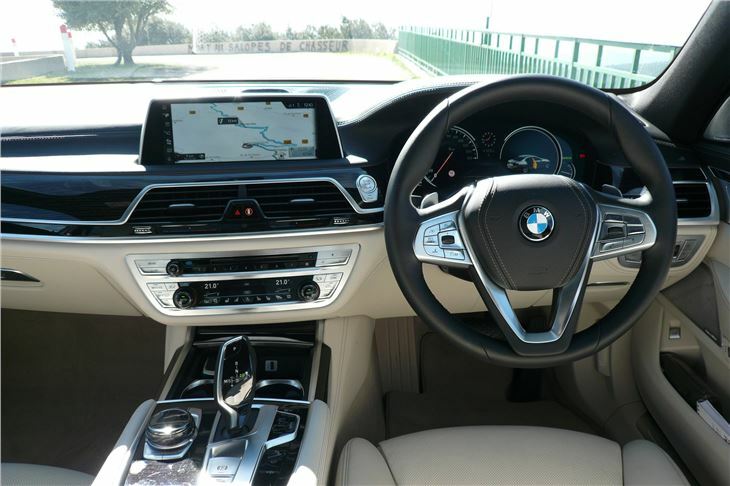 Please take a long hard look at the standard spec of the new 7-Series (next tab). 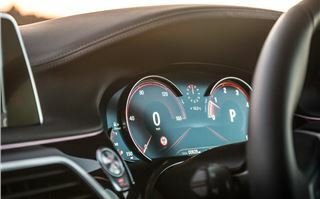 There are really only four cars in this class: the Mercedes S-Class, the Audi A8, the Jaguar XJ and the BMW 7-Series, and only one winner, which so far has been the Mercedes S-Class. What BMW has done with its latest 7-Series is, by offering more standard spec for the same sort of money, taken the fight straight to the top car in the class. It won’t win because it can’t overcome decades of prejudice. But the car is now so good, I predict that over the next few years there will be a lot more 7-Series fighting for kerb space in Mayfair than there ever were in the past.